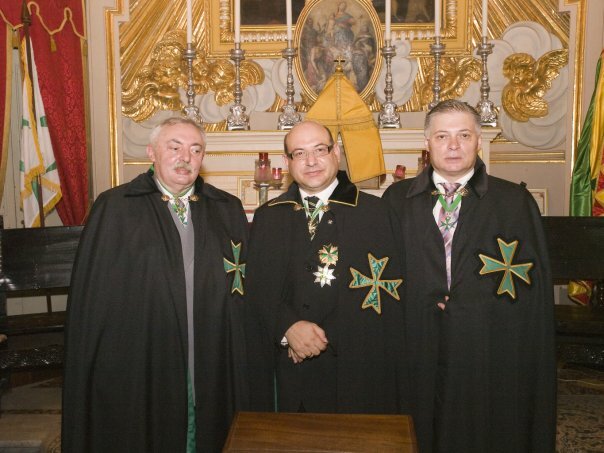 The second investiture of the Grand Priory of the Ukraine was held in July 2009 amidst a heat wave which naturally increased the perspiration levels of the extensive amounts of Confreres and Consoeurs of the Order who were gathered for this event, finely dressed with the regalia of the Order of Saint Lazarus, complete with mantles! The Grand Prior of the Ukraine, Chevalier Anton Savvov KLJ OMLJ, led his delegation for the celebration of mass. Both the mass and the ensuing investiture were being simultaneously conducted in the English and Russian language. 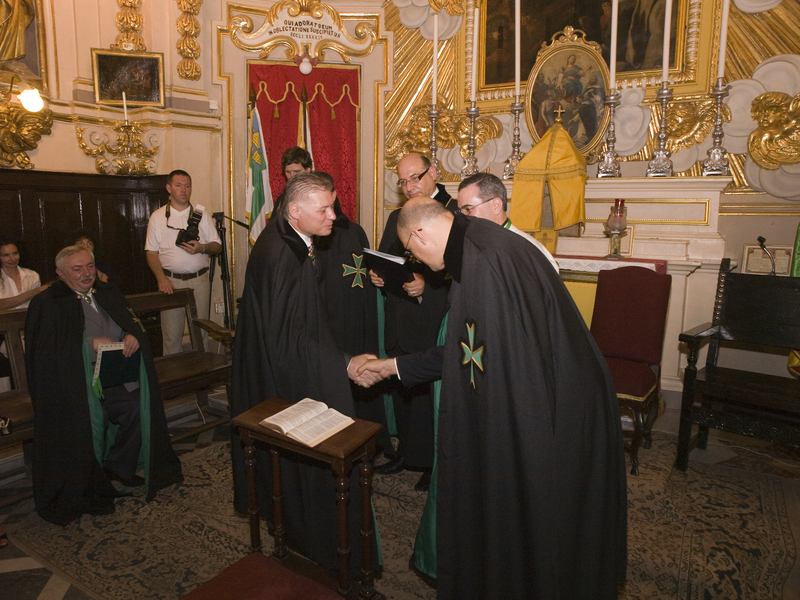 The highlight of the investiture was indeed the supplication of the Grand Priory of the Ukraine, together with the Grand Priory of the Malta, for the Supreme Grand Priory of the Order to accept and consecrate a distinguished amount of Confreres and Consoeurs hailing from Russia into the Grand Priory of Russia. This was indeed done by means of a solemn ceremony which was conducted by the Grand Chancellor of the United Grand Priories, Chev. Massimo Ellul GCLJ GCMLJ, who was aided and assisted by his team of investing officers. For this unique event, and thus for his singular role in ensuring such a growth of the Order in this region, the Grand Prior of the Ukraine was awarded the Companionate of Merit of the Order in the grade of Officer of Merit. A number of postulants were admitted into the Order and a number of promotions were also given to some of the officers of the Grand Priory, including Chevaliers Abramov Genrikh, Ezhov Anatoli and Mikhail Shatalov. The Grand Priory was also instrumental in translating the Order’s book on the history of the Order in Russian. This was indeed instrumental in ensuring that non-English speaking members of the Order from the regions in question have access to the proper historical background of the ancient mores and customs of the Order. For this specific reason Chevalier Airat Akhmadeev KCLJ was promoted to the rank of Knight Commander of the Order. After the investiture, the members, officers and guests attended a sumptuous investiture dinner and a number of charity donations were announced by the Grand Prior of the Ukraine.